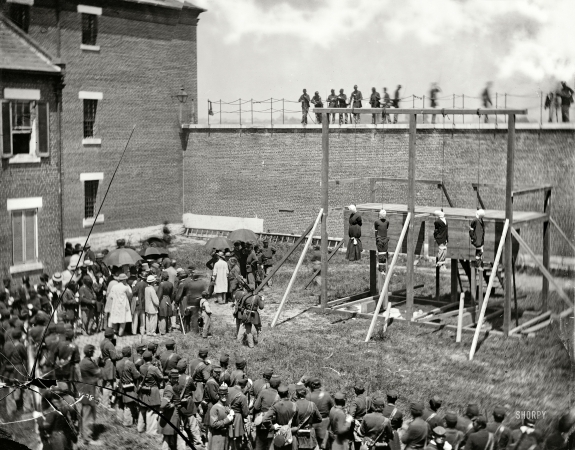 Lincoln assassination conspirators Mary Surratt, Lewis Payne, David Herold and George Atzerodt shortly after their execution at Fort McNair. Wet plate glass negative by Alexander Gardner. July 7, 1865. "Washington, D.C. Hanging hooded bodies of the four conspirators; crowd departing."